This book was really hard to me to immerse myself in. When I first read the book flap, I was so intrigued that this book was inspired by the folk song, “Scarborough Fair.” Unfortunately, my expectations were really high, and the book did not meet them.Lucy is a sweet 17 year old who is normal: preparing for prom, running track, and dealing with her crazy mother… WHAT?! So maybe not so normal, but she really tries to be. Her mother is homeless and plagued with a mental disease, and tries to warn Lucy of a curse. Brushing her mother’s warning off because, clearly, she’s crazy, she decides to move on. After the unexpected, horrific prom night, she decides she must pay attention and save herself and her family.Lucy is quirky, being a girl who wants to wear red Converses to prom. It was really hard to get to know her, but she really went through a lot. I can’t say much without spoiling the plot. Zach, her friend who helps defeat the curse, was really super sweet. He was my favorite character. I thought Lucy’s foster parents were wonderful and so dang supportive of her, no matter what.I thought the plot was really out there. The 3 conditions to defeat the curse were completely bizarre, something I really didn’t see coming. She needed to plow a field with a ram’s horn… and the others equally as weird. I also was not a fan of the writing. The different POV’s switched entirely too much, and I did not like the 3rd person writing. It seemed so removed from the characters, therefore I found it hard to connect with them. I did not care for the romance either. I did not feel the world-moving, soul-igniting love that I crave in books. It was saddening.I had such high hopes for this book, and it let me down. 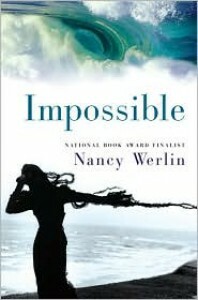 I have another book by Nancy Werlin, Extraordinary, and I am debating on reading it based on this one. 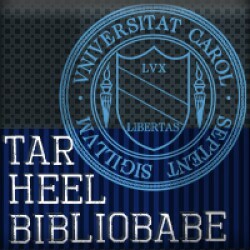 Should I take a chance?Rating: 2/5 Tar Heels!See more reviews at www.tarheelbibliobabe.blogspot.com!